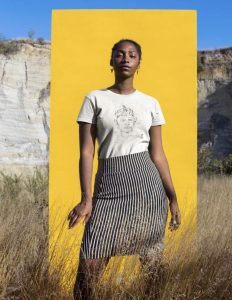 Combining the two things she loves most — fashion and speaking out — eleventh-grader Anna Grady has created her own clothing brand, Odd Gossip, that has gained lots of attention in just four months. Grady first had the idea to create her brand in May of 2018. She started the process by contacting other youth-owned businesses, including the clothing line Urban Sophistication. Using direct message on Instagram, Grady asked for tips regarding Urban Sophistication’s start as a fashion business. Responding almost immediately, the youth-owned business gave her a lot of helpful information that offered advice on how to create her own website and brand. Grady created her website using a program called Shopify, recommended by Urban Sophistication. This program made her brand’s development much easier by shortening the process of creating the website. She launched the website, oddgossip.com, in June. Before mid-July, her brand started taking off. Odd Gossip averages about 15 sales or $75 a week, but rise when Grady advertises her items on social media platforms. “I send Instagram models and people with lots of followers t-shirts or hoodies, and then they’ll post and tag [@oddgossip]. So, when they do that, there’s a big spike in sales,” Grady said. Although she is unsure if she wants to continue working on Odd Gossip in the future as a career, Grady is positive that wants to enter the fashion industry. “I think I’d like to be in marketing and advertising, or just branding in general,” she said. For Grady, Odd Gossip is more than just starting a fashion career or earning money. Rather, it’s about speaking her mind and expressing her views through her designs. 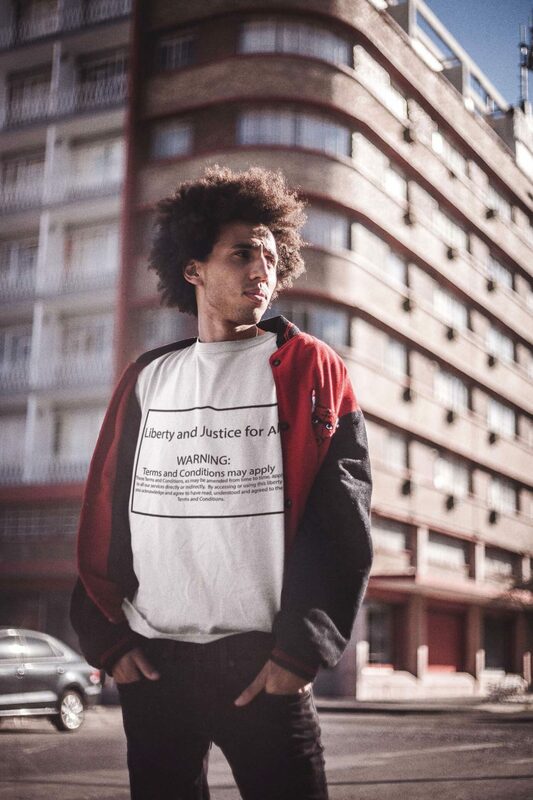 “I wanted [the clothes] to say something about the things that are happening in the world today. That’s where I got ‘gossip’, and these topics being discussed are definitely ‘odd’,” Grady said. 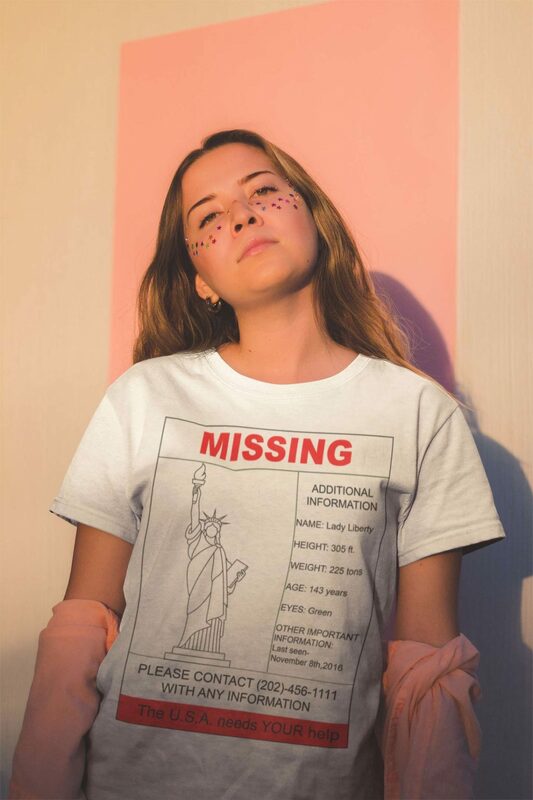 One of her favorite pieces is a t-shirt with a missing poster, under the missing label is the statue of liberty implying the loss of freedom in America. As a consequence of Grady’s expression through fashion design, some critics with opposing opinions have already spoken negatively about her statements. “I’ve had hate from people. Someone did a negative indirect about my political statements. Some people are not big fans of what I’m trying to say,” Grady said. While such negative criticism can be hard to take, Grady understands that her opinions are bold and that, as a consequence, she expects negative backlash regarding her opinion on certain topics. You can find these expressive designs on Depop or Instagram under the username @oddgossip or go straight to her website at oddgossip.com.